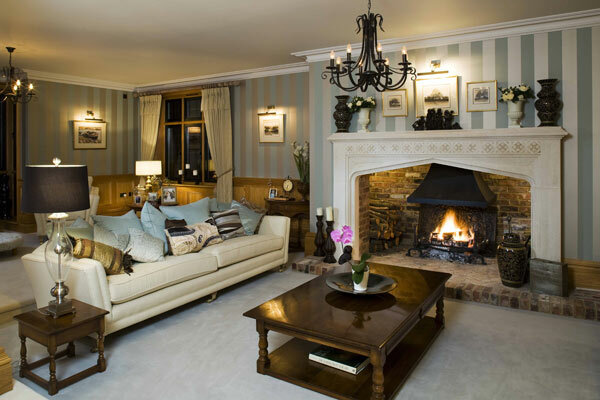 Continuing the ‘Top 5’ theme from our last blog, we would like to share with you from the archives our top five traditional fireplaces. As before, we feel that the projects that have been selected show the level of our professional expertise. In addition to the set of skills, knowledge and experience we have within the fireplace industry. 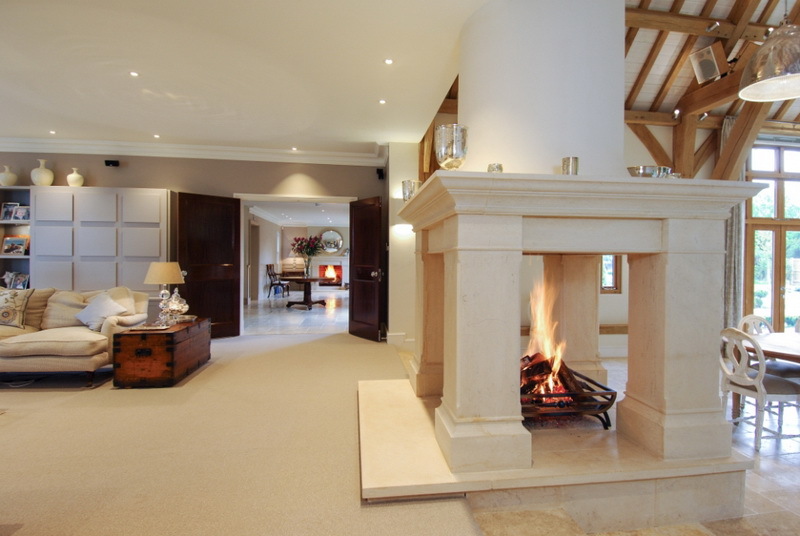 Commissioned by Chaplin Farrant Wiltshire architects to install a large open 4-sided solid fuel fire within a new barn conversion. The client had very specific requirements and wanted a ‘rounded look’ to the chimney stack. In addition to this the client requested a ‘brick built round chimney’ at the top. This meant a structure had to be built to hold the flue in place as well as to take the weight of the bricks positioned at the top. What we actually did: Played a key part in the planning, design and building process. Responsible for the installation of the flue (including meeting the specific requirements). 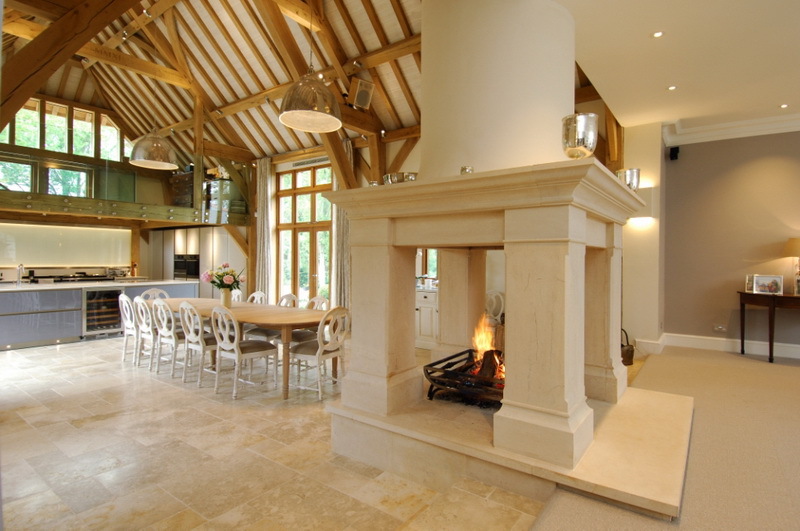 Responsible for the installation of the large 4-sided fireplace made out of solid Bathstone. In summary, the fireplace has become an integral part of the house and is a magnificent central feature to the open plan living room. As part of the same commission of the 4-sided fireplace, we were also asked to fit a further Bathstone fireplace in the main entrance hall of the house. 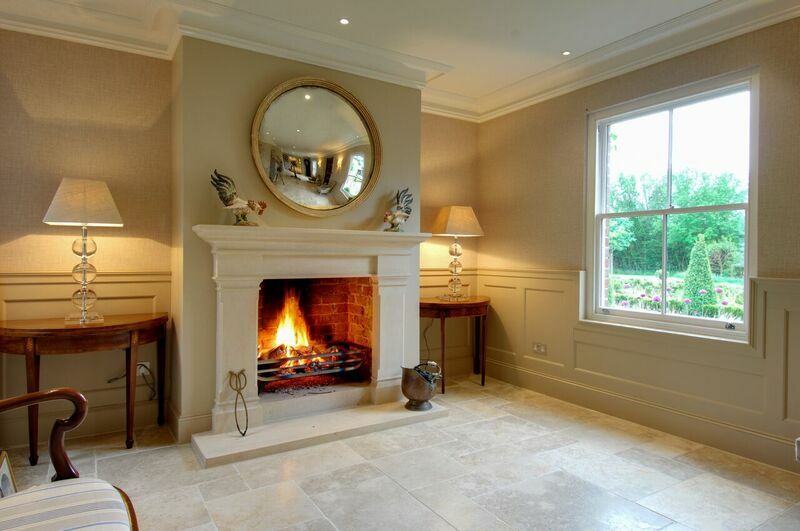 What we actually did: We covered the installation of a large Bathstone fireplace surround and the creation of a bespoke freestanding fire basket based on the ‘Morris’ design from Chesneys. 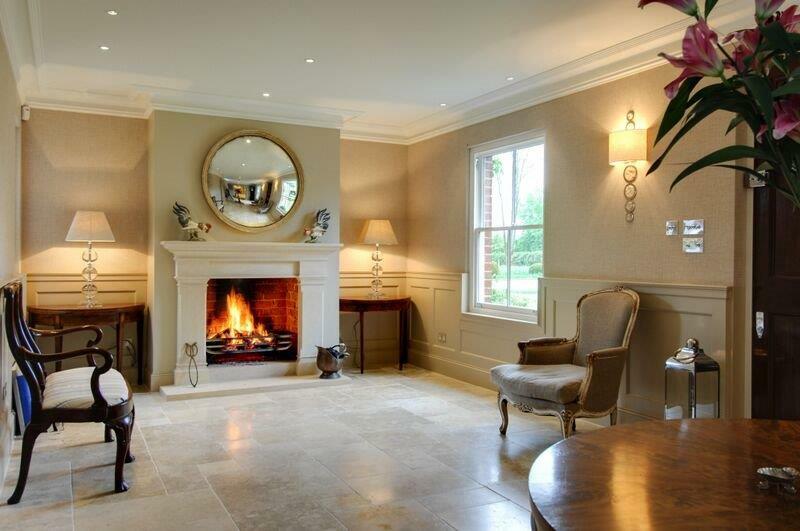 Instructed by a private client to help design and install fireplaces in an impressive new build house. 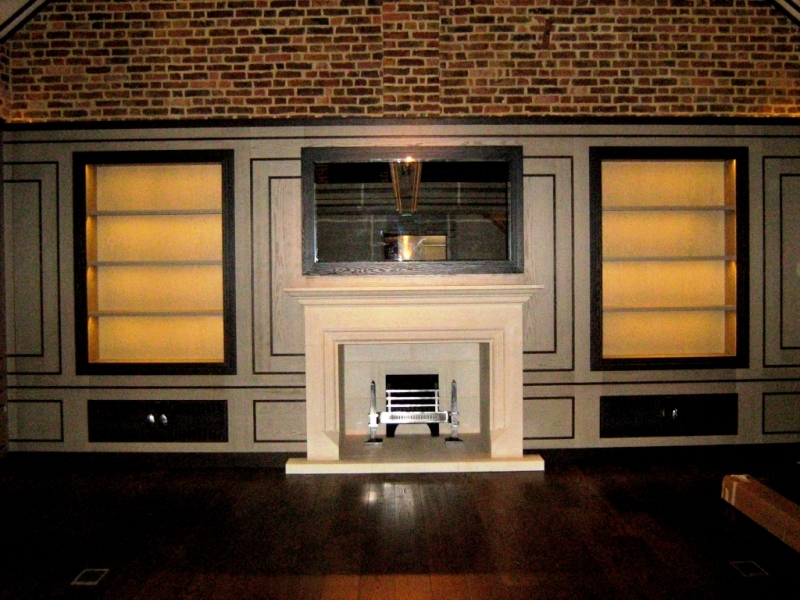 The client required three very different and distinctive fireplaces that would be a ‘wow’ factor in each room. What we actually did: For the Drawing Room fireplace, we installed the large fireplace surround made from Limestone which framed the immense inglenook opening that had already been created. Due to such a large inglenook opening, it was imperative to install a hood to prevent smoke entering the room and create the right draw. In addition, we had to fit the incredibly heavy fireback and 36″ swans nest for completion. 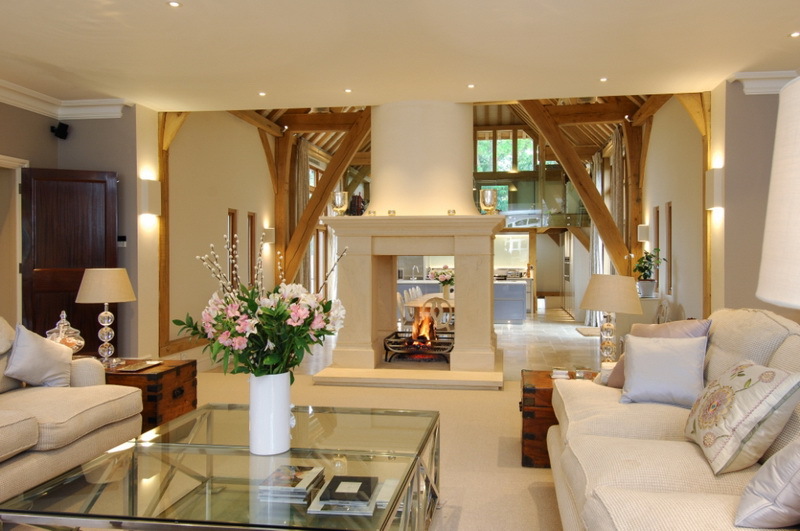 Commissioned by Hillhouse Interiors to organise the installation of a magnificent stone fireplace in a barn conversion. What we actually did: To help with the design and installation of the new flue system as well as supply and carry out the installation of the fireplace itself. 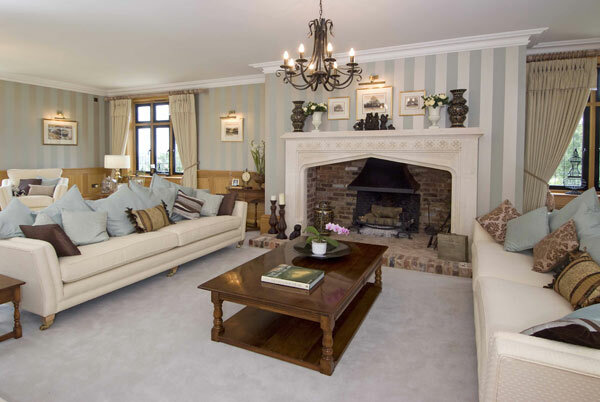 We worked very closely with the builders, Lucking Bros and the architects RDJW, as well as Hillhouse Interiors to ensure that every detail of the fireplace was covered and that nothing was left to chance. Commissioned by a private client to install a fireplace in their new extension in Haslemere, Surrey. What we actually did: Worked very closely with the client’s architects and building contractors in order to specify the right flue system for the desired opening. 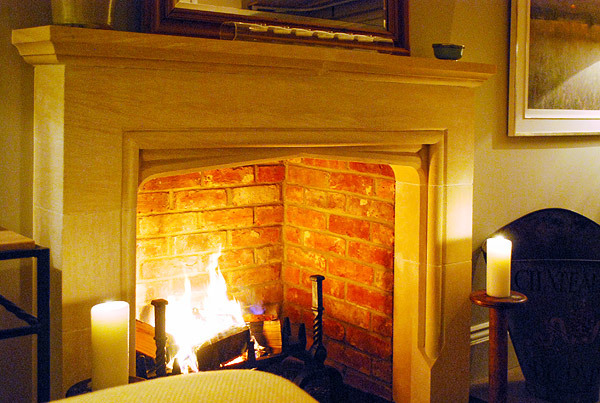 The installation of handmade ‘Tudor’ style fireplace made from Limestone. 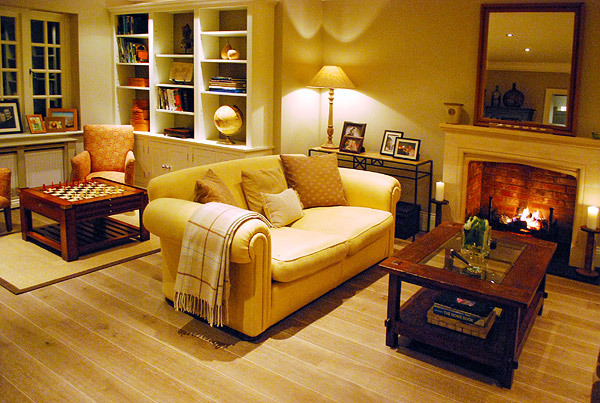 Finally, are you considering installing a traditional fireplace? No matter how big or small the project might be, give The Billington Partnership a call today to see how we can help on 07545 855623.